The family tree verification process for the second draft of NRC is about to commence in Hailakandi district of Assam from February 17. The administration is all set to rectify the errors committed during the submission of documents related to family tree in the first phase. Errors like names, spellings, surname changes because of marriages, entry of wrong names etc will be verified and corrected before the second draft of the NRC is published. 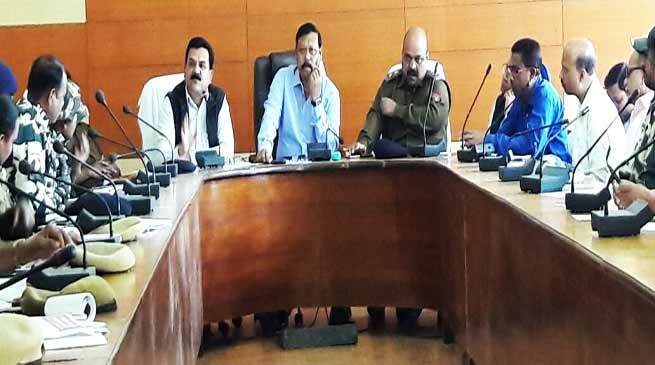 Addressing a Press Meet on Thursday, Deputy Commissioner Krishna Govinda Bhuyan said the administration has already sent Letter of Information (LoI) to the concerned individuals in their permanent residential address to appear for the verification process. “The LoI contains all the information like date, venue and time of appearance at the verification centre”, he said. A meeting was also held with the representatives of political parties and leading citizens for smooth conduct of the second phase of the NRC process, SP Pranabjyoti Goswami was also present in the meeting. Bhuyan clarified that those who have got the LoI have no reason to fear of being excluded from the NRC. People whose names have already appeared in the first draft of NRC published at the stroke of midnight of December 31 last year may also receive the LoI to testify to prevent misuse of their legacy data by someone else, he added. Bhuyan pointed out that those who have got the LoI have to bring along with them photo identity card with all supporting documents. “The applicants may also bring along their siblings or other family members to defend their lineage,” he added. The Deputy Commissioner disclosed that 12,847 cases would be disposed of in the three rounds of verification process in the 57 family tree verification centres across the district. Of the total centres, 15 falls in Hailakandi, 10 in Algapur, 18 in Lala and 14 in Katlicherra. The verification centres will remain open from 9 am to 3.30 pm, barring Sundays and other Government holidays. Besides investigation officers, eight magistrates have been deputed for carrying out the second phase of NRC process smoothly. Bhuyan appealed to the people to extend support and cooperation for smooth conduct of the NRC exercise. “People must keep a strong vigil till the final NRC is published,” he said. ADC Amalendu Roy, CO, Tridip Roy, District Project Officer, NRC, Sumit Prasad Das and other officials were present during the Press Meet. Meanwhile, the district administration has launched vigorous campaigns to sensitise people about the NRC updation exercise and to remove misconceptions being spread by some mischief-makers.